During my BSc I discovered biochemistry and zoology – invertebrate zoology in particular – which I found was astounding and the staff brilliant. In third year I majored in biochemistry and zoology (animal physiology) and was fortunate to study biochemical pathways and their correlation with cellular structures (electron microscopy); from that time on I was hooked! His BSc Honours thesis was in insect physiology (water and ion regulation) which extended into a PhD supported by a Government Scholarship and awarded in 1982. His graduate and post-graduate advisor was Professor AT Marshall, Department of Zoology, La Trobe University, Bundoora, VIC, Australia. During the second year of his PhD he undertook his Dipl Ed and was placed in a high school in the third year of his PhD studies. In 1981, he was a Lecturer at the Melbourne College of Advanced Education and from 1982 to 1984 was, upon application, allowed to take a Fellowship as an ARGC Research Associate in the Analytical electron microscopy unit of the Department of Zoology, La Trobe University, where he continued his association with Professor AT Marshall. In 1984, he joined the CSIRO Division of Animal Health as Project Leader Electron Microscopy at the newly constructed Australian National Animal Health Laboratory (ANAHL, now AAHL) where he intended to stay for about five years. He enjoyed the research and the environment in the laboratory to such an extent that he was still there as the head of electron microscopy some 25 years later. In 2008, he was appointed Research Program Manager, Emergency Disease Response and in 2009 became Head: AAHL Biosecurity Microscopy Facility. 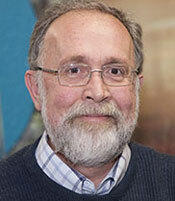 His group consists of experts in diagnostic electron microscopy and advanced light microscopy and electron microscopy. The team provides a national capability to CSIRO and other Australian scientists working in the field of biosecurity (infectious diseases). Members of his group are also co-recipients of some of the listed awards. In 1992, he worked at the University of Oxford with Dr Polly Roy and Professor David Bishop on the structure and function of Bluetongue virus using recombinant viruses. In addition to his role at CSIRO he is an Adjunct Professor, Queensland University (1998- ); a Research Fellow, James Cook University (2005- ) and a Scientific Associate, Taronga Zoo and Western Plains Zoo (2007- ). Development and application of specialised techniques for the detection of exotic and newly immerging viruses. Viruses identified include, Hendra virus, Pilchard herpes virus, Australian bat lyssavirus, Kangaroo blindness virus, a range of new arboviruses, fish viruses and Batrachochytrium dendrobatidis which is the aetiological agent for the disappearance of many global frog populations. Techniques used include transmission and scanning electron microscopy and associated techniques including immuno-electron microscopy. the use of classical electron microscopy to understand the association of viruses with the cells they infect. Outcomes from such ultrastructural studies are used in viral taxonomy studies, viral differentiation and contribute knowledge towards understanding of the events associated with viral replication within a single cell. Examples are Blue Tongue Virus (a serious threat to the sheep and cattle industries), Epizootic Haematopoietic Necrosis Viruses (a serious threat to a number of native fish species in the Murray Darling Basin) and Hendra virus. the study of viral-host interactions involving pathogen spill-over. Following the landmark publication in the international journal Science of the identification of Hendra virus (HeV) as the cause of lethal disease in horses and man, a collaborative NSF grant was obtained to study the replication of HeV in horses. The implications of the results from this study are on-going. initiation of an Asian-Pacific diagnostic electron microscopica network. He has published a total of 307 publications including two patents, several reviews, 55 original papers, 24 book chapters and 205 Conference Proceedings. Hyatt AD, 2009, Personal communication.